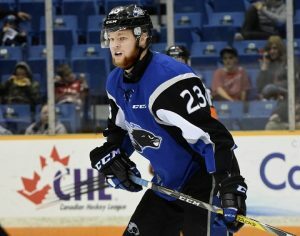 The Saint John Sea Dogs announced last week that defenceman Oliver Felixson has been diagnosed with Hodgkin Lymphoma. The diagnosis was confirmed by Horizon NB medical staff at the Saint John Regional Hospital. It is the same type of cancer diagnosed in Pittsburgh Penguins’ superstar Mario Lemieux in 1993. Felixson, the native of Helsinki, Finland, has two goals and nine points in 55 games in his second season in with the Sea Dogs. The 18-year-old will be out of the lineup indefinitely while seeking treatment. The Sea Dogs ask that Oliver’s privacy, and that of his family, be respected while he is in treatment.